The recent findings from a key industry benchmark show that sustainability continues to move up the agenda at a growing number of REITs and real estate companies. The Global Real Estate Sustainability Benchmark, or GRESB, is an organization dedicated to evaluating the sustainability of real estate companies, including REITs and real estate funds around the world. Its members include more than 35 institutional real estate investors and investment managers, major real estate industry associations and a variety of solution providers. Founded in 2009, GRESB creates its benchmark by administering a survey each year that is focused on environmental and social factors. The results of the 2012 GRESB Survey show that participation grew by 30 percent compared to 2011, a clear indication that REITs, real estate companies and funds continue to sharpen their focus on sustainability. The 2012 survey data represent input from almost 450 property companies such as REITs and funds, and provides aggregate information for 36,000 properties, which total $1.3 billion in global assets under management. This point is further underscored by the 2012 GRESB Survey, as it indicates that 88 percent of 2012 survey participants reported having dedicated resources to manage the sustainability performance of their assets. Further, the survey shows that 60 percent of its participants now collect and report energy consumption data, compared to just 34 percent in 2011. According to the 2012 GRESB Survey findings, one reason for the stronger response rate was increased participation from the United States and Canada, growing from 15 participating companies in 2011 to 31 participating companies in 2012. To be sure, a growing number of U.S. REITs and real estate companies are becoming more transparent about their sustainability efforts as improvements have been made as to how they implement sustainability policy and strategies, according to the 2012 GRESB report. Case in point: The 2011 GRESB Survey labeled most of the U.S. participants as “Green Starters,” demonstrating that they had started to develop some sustainability policies, but showed limited organizational focus. In the 2012 GRESB Survey, most of the U.S. participants had advanced to “Green Talkers,” demonstrating that they had put in place dedicated resources for sustainability management and comprehensive external reporting and had also developed sustainability implementation plans. NAREIT, the National Association of Real Estate Investment Trusts, has been presenting its Leader in the Light awards, which recognize member companies’ excellence in the areas of sustainability and energy use practices, since 2005. Beginning in 2012, however, NAREIT modified its judging criteria to include the results of the GRESB Survey. The output from the GRESB Survey is becoming essential to many REIT and real estate investors who consider the sustainability of buildings and portfolios when they’re underwriting new investments and analyzing the operation of existing holdings, according to GRESB. That’s because these investors are increasingly mindful of the impact sustainability has on risk and return. David Stanford, founder and managing director of RealFoundations, a global management consultancy focused on the real estate industry, has put forth efforts to make the survey more relevant to the executive suite. “The GRESB movement is backed by close to $1.5 trillion of investment money from people who buy real estate stocks and have a vested interest in the outcome of sustainability efforts,” he says. Thomas Properties Group Inc. (NASDAQ: TPGI), a Los Angeles-based real estate company that owns, acquires, develops and manages office, retail and multifamily properties, is an example of how an aggressive sustainability strategy, in place for more than a decade – has directly translated into cost savings and returns. Thomas Properties won the 2012 Leader in the Light Award in the Office-Small Cap category. According to Daniele Horton, Thomas Properties’ sustainability manager, one of its properties, City National Plaza, uses 38 percent less energy today and is receiving more than $4.3 million in annual energy savings as a result of an $11 million investment it made in energy-efficient projects. That’s a 375 percent return on its initial investment, she says. The fact that the Leader in the Light Awards and GRESB Survey evaluate companies by property type serves as a useful gauge of their progress. “We’ve been at it since 2003, but a survey like GRESB is a way for us to measure ourselves against our peers,” remarks George Caraghiaur, senior vice president of energy and procurement at Simon Property Group (NYSE: SPG), the large mall REIT based in Indianapolis. “If you don’t know where you stand, it’s pretty tough to chart a course to where you want to be.” Simon was the 2012 Leader in the Light winner in the Retail-Large Cap category. Thomas Klaritch, executive vice president of medical office properties at HCP Inc. (NYSE: HCP), says he appreciates the fact that the GRESB survey is geared toward the real estate industry but covers the three key areas of sustainability reporting: environmental, social and governance. While other sustainability surveys cross industries, GRESB, he argues, allows companies and funds to evaluate themselves against their peers in a comprehensive way. HCP won the 2012 Leader in the Light Award in the Health Care category. NAREIT honored the 11 winners of its annual Leader in the Light Awards competition at REITWorld 2012: NAREIT’s Annual Convention For All Things REIT®. The awards, done for the first time in conjunction with the Global Real Estate Sustainability Benchmark (GRESB) Survey, honored member companies that have demonstrated superior portfolio-wide energy use practices and sustainability initiatives. As the first year that the awards were migrated into GRESB platform, participants completed both the 2012 GRESB survey along with the supplemental 2012 Leader in the Light questions. This is also the first year that the awards were sector-driven with categories in each of the major REIT industries. Indeed, in this year’s survey, refinements were made to take into account differences specific to the real estate industry, according to GRESB, which include the maturity of sustainability, the level of implementation and the possibility to measure and improve sustainability performance. Other REITs say participating in the GRESB survey over the years has helped shape their sustainability strategy. Will Teichman, director of sustainability at Kimco Realty Corp. (NYSE: KIM), says that when his company first participated in GRESB in 2010, it didn’t have quantitative data. “That motivated us to go back and invest in IT infrastructure to collect the data,” he says. As a result of those efforts, Teichman adds, Kimco’s scores rose when it participated in the 2011 and 2012 GRESB surveys. For 2013, his goal is to focus on non-quantitative questions regarding risk, opportunities and goal-setting. Other REITs have been aggressive in their sustainability efforts as well. 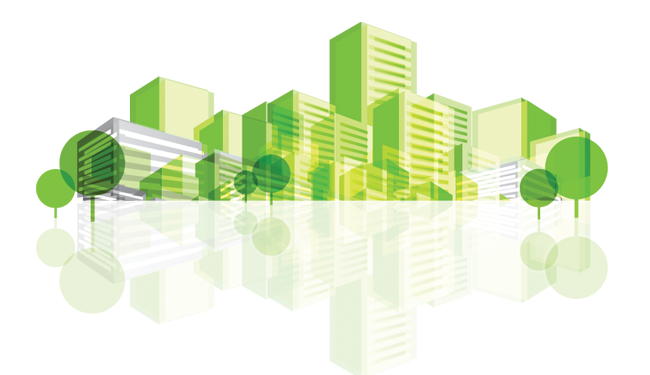 HCP, a strong performer in the 2012 GRESB Survey, started down its sustainability path in 2005. The health care REIT has become an Energy Star Partner, modified its core value statement to include a sustainability mission and reduced energy consumption by 13 percent since 2007. Klaritch says in the past year, HCP has truly institutionalized sustainability. Every month, the REIT holds a monthly management meeting with CEO Jay Flaherty and its other business leaders to discuss the progress made on sustainability. HCP also has a sustainability committee comprised of key members of the senior management team as well as mid-level employees who meet to brainstorm ideas. Despite the many efforts of REITs and real estate companies to incorporate sustainability into their operations and philosophies, the GRESB results show there are a number of areas where respondents can make improvements. For instance, 40 percent of the respondents in the 2012 GRESB Survey still have limited disclosure of sustainability performance towards the investment community. Fifty-two percent of respondents have data for less than 10 percent of their portfolio. Less than 8 percent of respondents have shown the ability to collect energy information from their tenants. As REITs, other treal estate companies and funds continue to improve and refine their sustainability strategies, GRESB will continue to enhance how it evaluates those efforts, according to Kok. “Sustainability is a moving target, so we’re looking to sharpen the survey and focus more on tenant engagement,” he says. Kemba Dunham is a freelance contributor to REIT magazine.